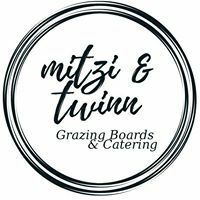 All our grazing boards are put together with FRESH, LOCALLY SOURCED & HOME-MADE produce. We are happy to design custom-made platters to suit your specific requirements. Please get in touch to see what we can create; to add that special something to your special occasion. Treat your friends or colleagues with our very impressive "Ultimate Grazing Board". This board show cases Hawkes Bay at it finest with the most popular cheeses and cured meats. Fresh home-made breads and dips and array of mouth watering treats. Fresh seasonal fruit and vege all sourced locally within the beautiful Hawkes Bay region. ..for the blokes; stag do's , sports events etc. Our "Punch Platter" is exactly how it sounds; a platter with a punch. This will get your taste buds dancing with an array of spicy cured meats sourced from our local supplier, pickled onions and gerkins and plenty more. Birthday party food for kids can havethat extra special touch with our "Tiny Ones" Platter. It has array of delicious home-made sweet treats, and dips. Fresh baked bread. Hawkes Bay seasonal fruit and veges & mini sliders. Full tummies with happy mummy's as our platters do not have the additives and overload of sugar that a lot of party food can have. Healthy and something for everyone! Custom designed cakes available as an extra to wow your birthday boy or girl. signature mitzi & twinn rich chocolate sauce; perfect for dipping. If there was ever magic on a board this would be it. This fabulous ensemble features a selection of those New Zealand home-made slices and cakes. Fresh seasonal fruit and delicious surprises. This delightful assortment has something for everyone and certainly can satisfy any sweet craving. Our "Brekkie Board" will keep you smiling throughout the day filled stuffed mini croissants, freshly home baked fruit muffins just like grandma used to make and a selection of Hawkes Bay fruit. If that wasnt enough we let you choose either chia pudding pots or bircher muslie pots to accompany your board. Let us add that extra special touch to your board with a beautiful cake. Enquire for available designs. Free delivery within the Hawkes Bay Region (25km) Any further, delivery fees may apply. A 20% deposit will be required to secure your booking. All grazing boards are required to be set up either indoors or in shade. All produce is sourced from local suppliers where possible. Seasonal fresh produce will be supplied. Additional charges for public holidays may apply.